The UK and South Africa both introduced taxes on sugar sweetened beverages earlier this year. How has this affected Coca-Cola? Coca-Cola says the introduction of the sugar tax in the UK was ‘broadly in line with expectations’. In South Africa, however, the tax affected business performance as it came into effect, but Coca-Cola is optimistic it is back on track for the remainder of the year. In South Africa, the Sugary Beverages Levy​​ (part of the Health Promotion Levy) is fixed at 2.1 cents per gram of the sugar content that exceeds 4g per 100ml. It was introduced in April with the aim of tackling obesity – South Africa is ranked with the country with the most obesity in sub-Saharan Africa. Reflecting on the first three months of the sugar tax in South Africa, Coca-Cola CEO, James Quincey, said the lesson it has learned from the sugar tax is the importance of reformulation. “We had a reasonably good plan. I don’t think we perhaps were as aggressive on the reformulations as we should have been. In South Africa, trademark Coca-Cola offers Classic Coca-Cola, alongside sugar free Coca-Cola Light and Coca-Cola Zero; and stevia/sugar-sweetened Coca-Cola Life. Driven by consumer trends towards lower sugar diets and the prospect or introduction of sugar taxes in various markets, soft drinks manufacturers such as Coca-Cola have been approaching sugar reduction through various initiatives such as reformulation, lower calorie alternatives, and smaller pack sizes. 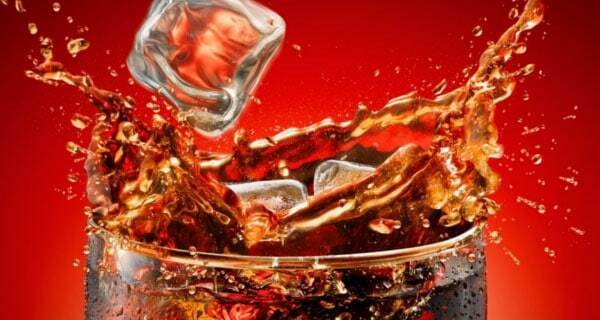 The UK introduced the Soft Drinks Industry Levy (SDIL)​​ in April, applying to beverages with more than 5g sugar per 100ml. At the time, CEO Quincey acknowledged the tax would likely have ‘some impact’​​ but was optimistic that the industry was well prepared. For example, Coca-Cola reduced pack sizes of its Coca-Cola Classic; while it has been upping promotion of sugar free varieties Diet Coke and Coca-Cola Zero Sugar. During its H1 earnings call last month, Coca-Cola European Partners CEO Damian Gammell said the introduction of the tax had not brought any surprises for the company. “While it is still early days, the impact of the soft drinks tax in Great Britain has so far been broadly in line with our expectations,”​ he said.